Learn the Mathys Twinys stem & Vitamys cup uncemented Total Hip Replacement – Posterior approach surgical technique with step by step instructions on OrthOracle. 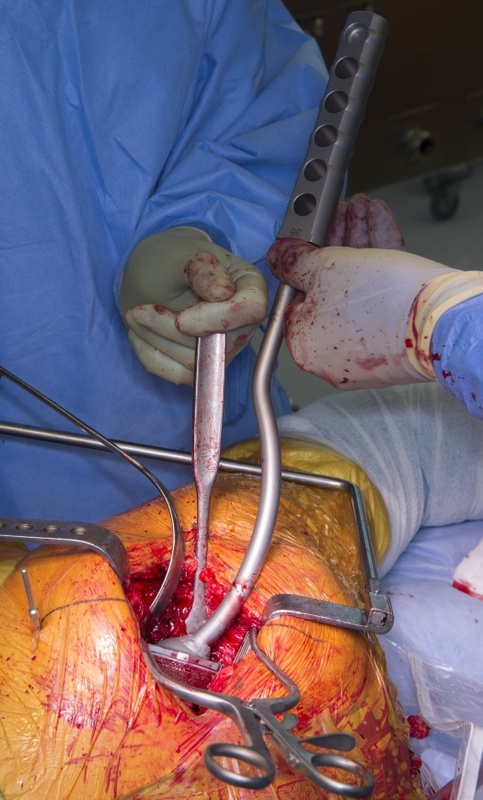 Our e-learning platform contains high resolution images and a certified CME of the Mathys Twinys stem & Vitamys cup uncemented Total Hip Replacement – Posterior approach surgical procedure. This hip replacement is similar to many ‘Corail-type’ uncemented stems. The cup is one-piece. You can use this approach and general technique for any similar stem and cup. Institution: Keele University, The Robert Jones & Agnes Hunt Orthopaedic Hospital , Oswestry.